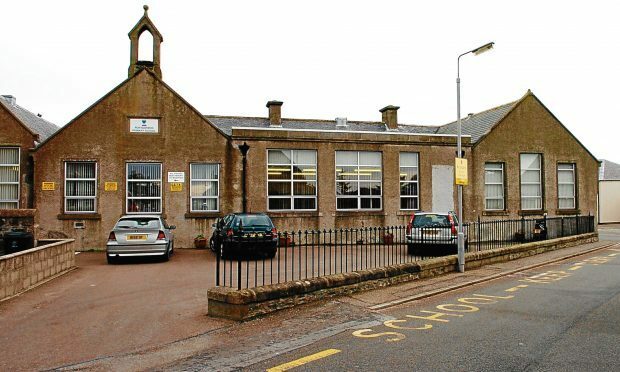 Fresh doubts have been raised about the future of four primary schools in Moray after they were described as “unsustainable”. A wide-ranging survey of classrooms in the Buckie High School catchment area has recommended a review. Schools potentially at risk include Findochty, Portessie, Portgordon and Portknockie primary schools – all of which are less than half-full. Last night senior councillors insisted “no decisions” had been taken about the possible closure of any sites. However, the chairman of the authority’s children and young people’s committee, Tim Eagle, admitted it was “inevitable” that the debate over closures would be reopened. Opposition members have insisted that any future decisions must be driven by the interest of pupils and not by financial considerations. But Mr Eagle warned the repair bill, which stretches to more than £100million and makes the region’s schools the worst in Scotland, has to be a factor. He said: “As an administration, we haven’t talked about closures. These are just officer recommendations at the moment. Mr Eagle, whose children attend Portessie Primary School, explained he opposed closures three years ago because he was “not convinced”. But last night he said he would keep a more open mind now. He added: “Portessie bucks the trend a bit but the school rolls have dropped quite a bit at the smaller schools. “When that happens it becomes a lot harder to run things for the children, like sports teams. “However, the biggest thing is the capital cost. Hundreds of thousands of pounds of work needs done. Fewer schools has previously been suggested as a possible solution to the region’s struggles in attracting applicants for teaching jobs. Moray Council’s education department’s recommendations will be debated at a meeting of the children and young people’s committee on Tuesday. In a report, the schools at Portessie, Portgordon and Portknockie were all described as “unsustainable”, while Findochty has “questions” regarding its sustainability. Head of schools Vivienne Cross has recommended a review of the Buckie ASG (associated school group) estate to find ways to provide the “optimum educational benefit” and “best value”. Findochty operates at only 27% of its capacity, Portknockie is at 35%, Portgordon is at 37% and Portessie 47%. Last night Lynsey Watt, chairwoman of Findochty parent support group, questioned whether the village school was actually unsustainable. The “schools for the future” review has also highlighted spare capacity at Millbank Primary School, which is currently 50% full, and suggested Cullen Primary School could be “reconfigured” as part of a review. SNP Buckie councillor Sonya Warren said: “It’s important that the council follows its own educational outcomes when going through this process – we have small schools that are performing very well.